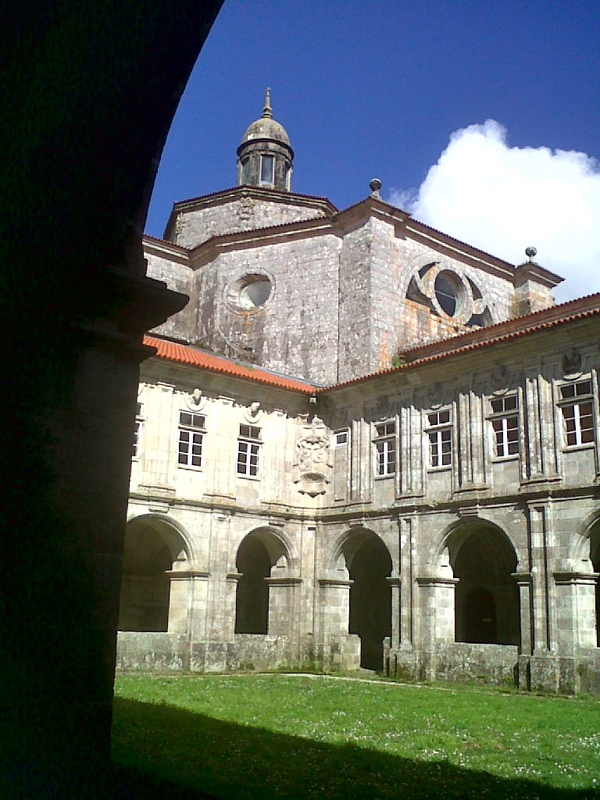 The Monastery of Santa Maria of Sobrado dos Monxes, is located in the area of Melide in the province of A Caruna in the town named Sobrado dos Monxes which means Monks. 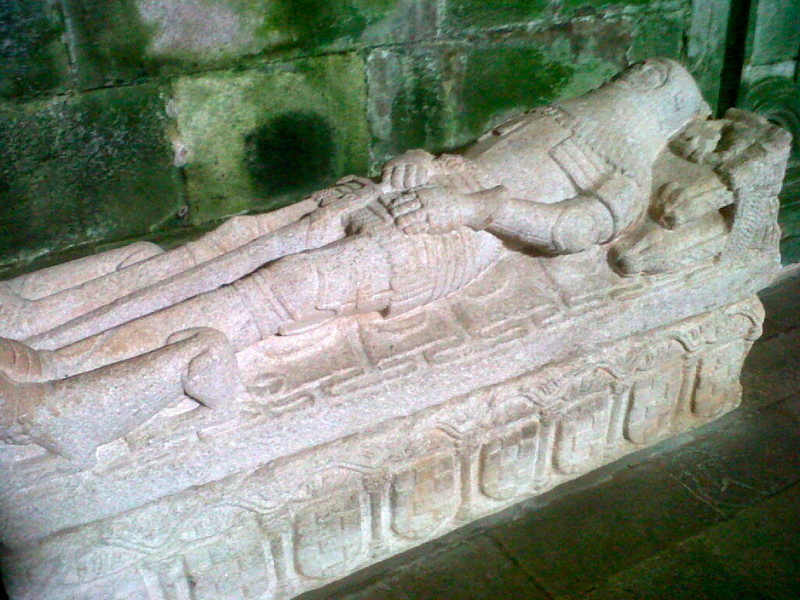 Founded in the tenth century by counts of the family Presaras. 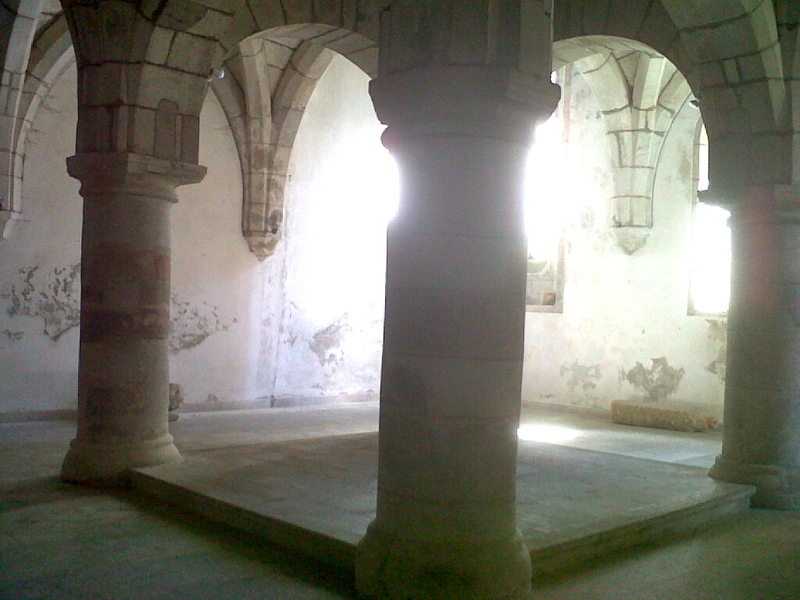 In the twelfth century, in the times of Alfonso VII the Emperor who was the true champion of the Cistercian Order and became apart of the white monks. 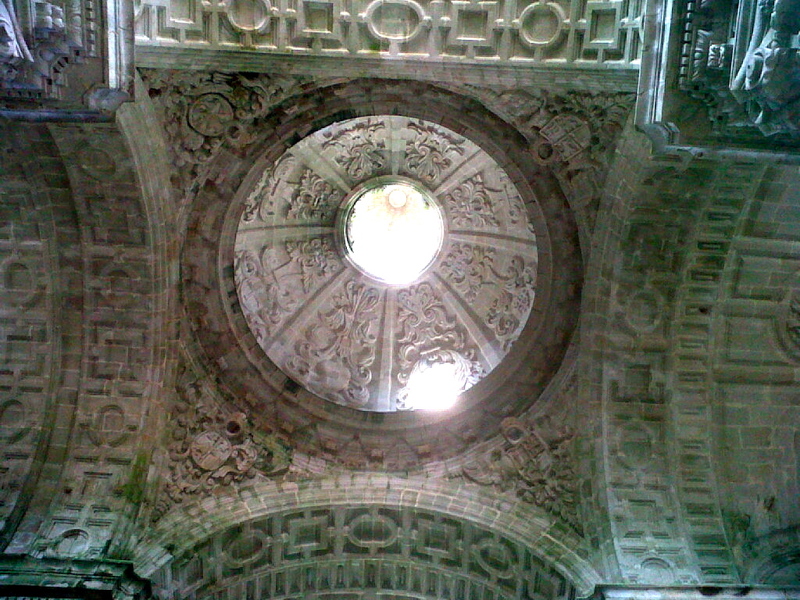 Later it became a part of the Congregation of Castile XXXX and averted destruction when it was purchased by Cardinal Paya. It is a dramatic structure with cloisters and is situated in a beautiful valley – a perfect peaceful setting. 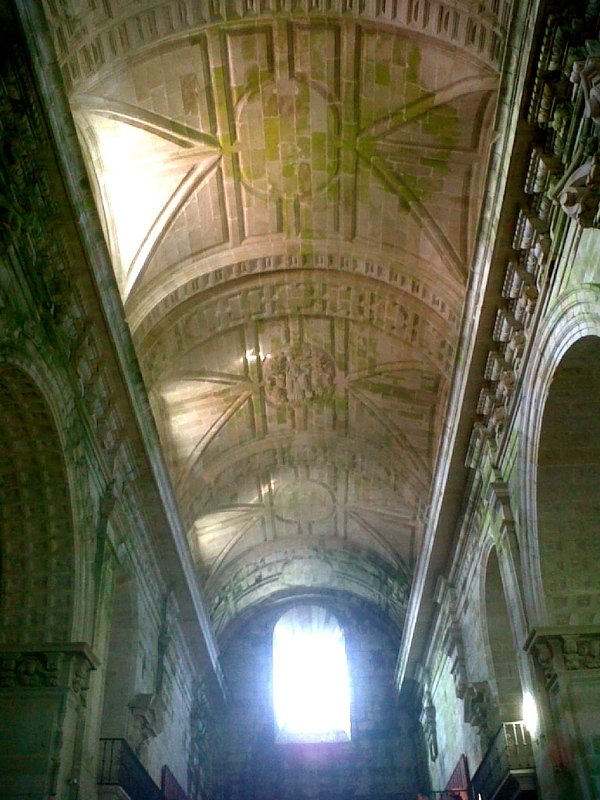 It interior is almost empty which makes for a truly unique experience. Walls covered with green moss and wind blowing outside makes for some interesting sounds inside adding to the mystical experience as we made our way inside to explore. 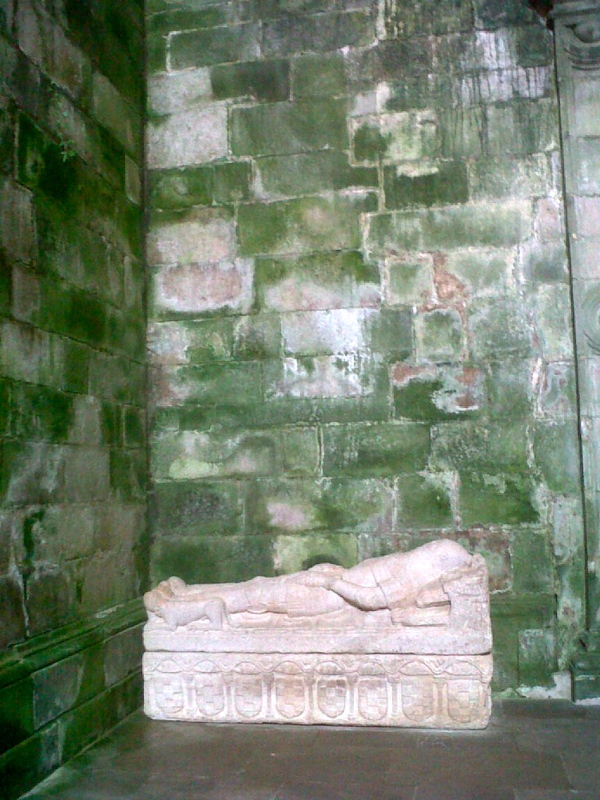 A solitary medieval tomb lays inside – on our next visit will be interesting to learn more of who this is and why it still remains. 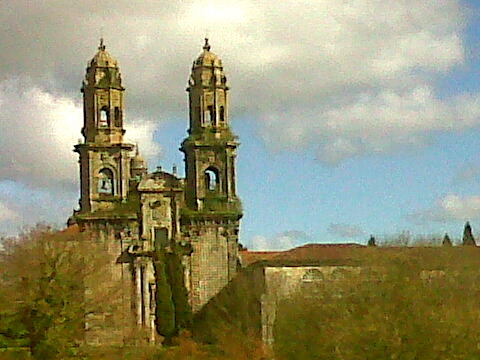 The church of the Monastery is a magnificent Baroque building (XVII century) style with Romanesque form. 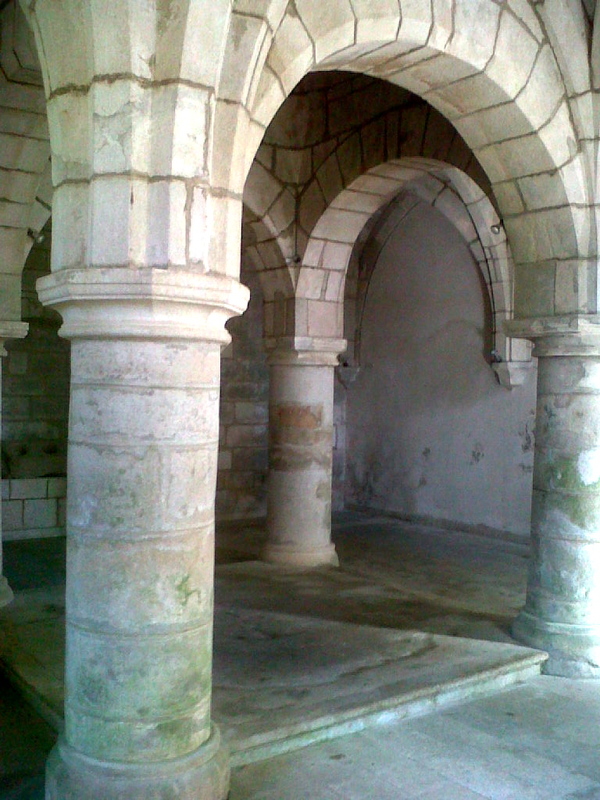 The monastery contains three cloister areas; The Pilgrims Hospice or the Processional, and finally the so-called Great Cloister. 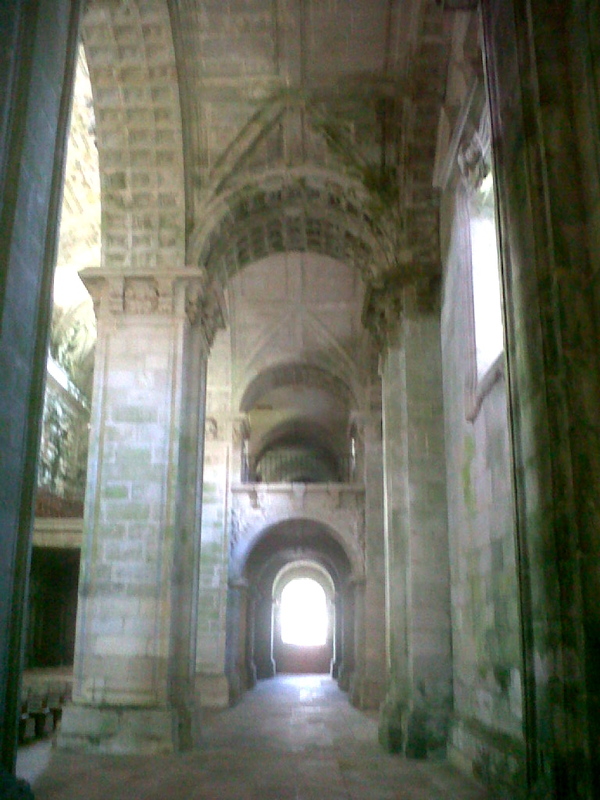 We were given a private tour by a pilgrim who had been staying there helping at the monastery for a week. Next time we visit it will be for vespers to hear the singing as I imagine it is quite magical in this setting to experience Gregorian Chants in just such a place. Our tour included visiting the historic kitchen – what was interesting is that not only was it one total room but in this case the center contained one massive area for an open fire – the largest I have ever seen. 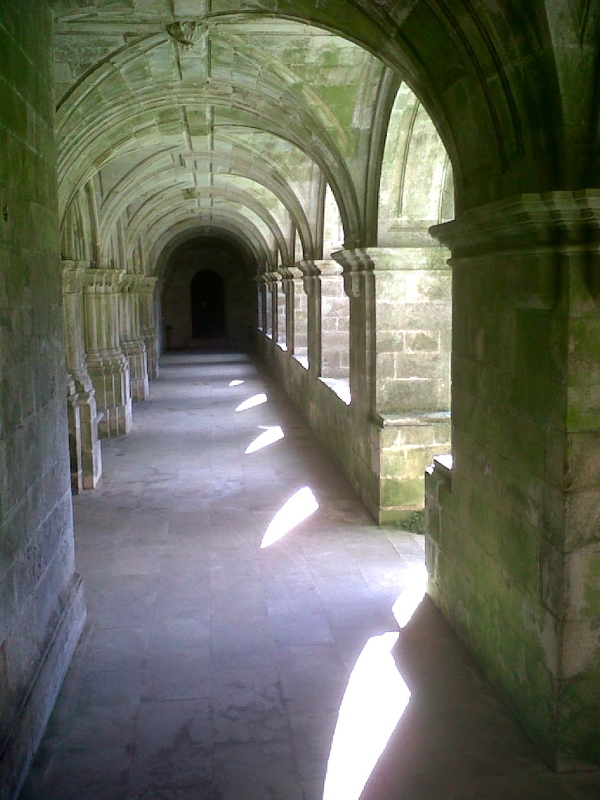 At one time there were 80 – 100 monks who lived here – now there are approximately 20. 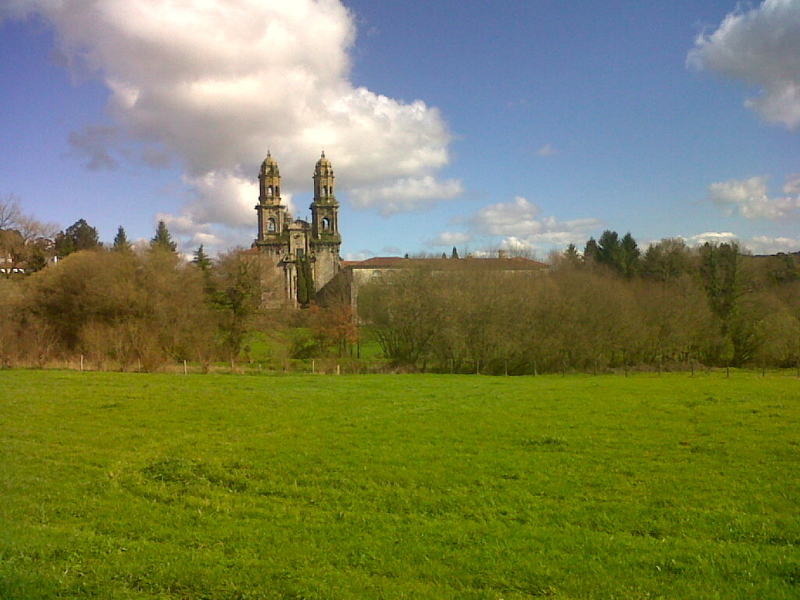 It can support up to 200 pilgrims during the busy camino season when the weather invites all the enjoy nature, walking, making new friends and discovering history and secret treasures of Galicia. It is an incredible setting to enjoy – next time a picnic on the grounds watching the cows graze I think will make for a perfect afternoon and more exploring! More fascinating history, culture, legends and myths to be discovered as we continue our travels in Galicia – hope you will join us! 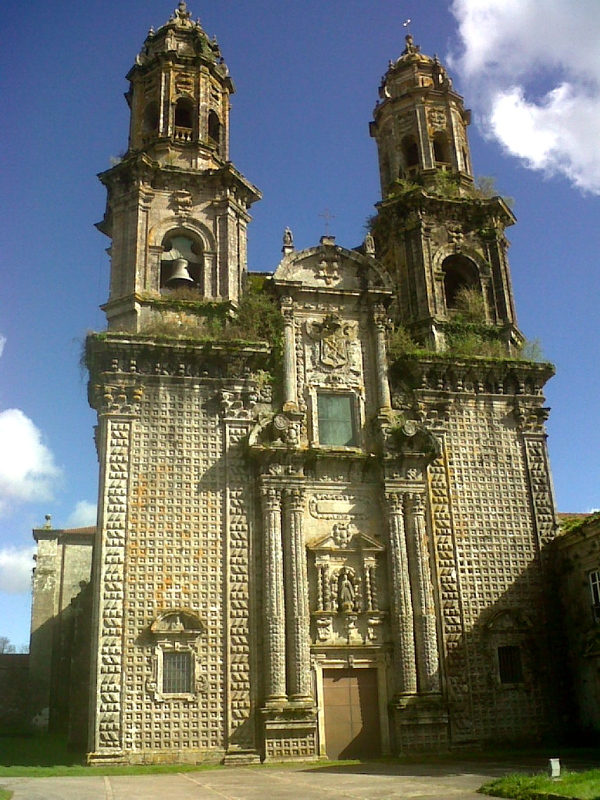 This entry was posted in Camino Travel Tips, Secret Treasures , Legends & Myths of Galicia and tagged architecture, culture, nature, outdoors, spirituality, traditions. Bookmark the permalink.